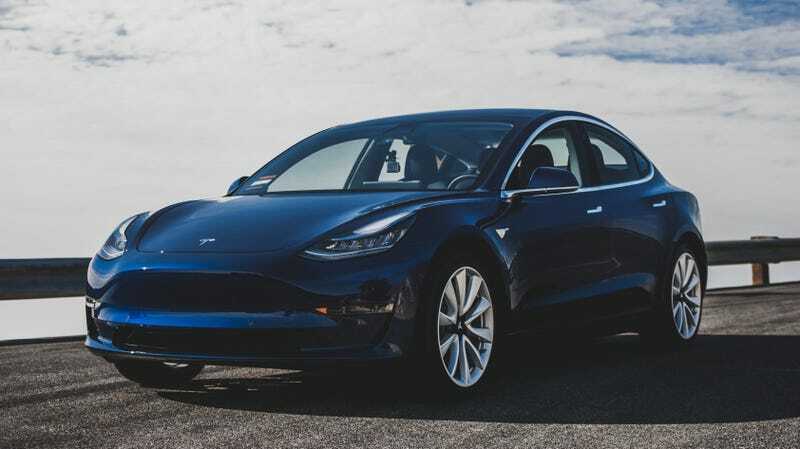 The Tesla Model 3 has landed at the top of Consumer Reports’ subscriber list of the most satisfying car to own, despite the publication initially refusing to recommend the car to buyers last year due to numerous issues with their test car. Back in May of 2018, Consumer Reports published its initial review of the Tesla Model 3, determining that the car had serious flaws with its user interface, ride quality and its braking performance—the car CR tested had a braking distance seven feet longer than a Ford F-150 which wasn’t great. CR also argued the use of a single, large touchscreen for almost every input over the controls of the car was dangerous and distracting, and that the car had a lot of wind noise at highway speeds, uncomfortable rear seating, and an overall stiff ride. The outlet ultimately refused to recommend the car to buyers reversed its decision and ultimately ended up recommending the car a few days later, after a software update issued by Tesla resulted in an improved braking distance by around 20 feet, which remained consistent in testing. Other cars that made the list include the Porsche 911, Genesis G90, Chevrolet Corvette, Tesla Model S, Toyota Avalon, Kia Stinger, Chevrolet Bolt, Toyota Prius and the Dodge Challenger. That’s a fairly contrasting group of vehicles, but it’s nice to see a strong variety on a list of cars people seem to enjoy owning the most. Consumer Reports also used its survey to rank the least satisfying cars to own, which includes the Jeep Renegade, Toyota CH-R, Chevrolet Trax, Nissan Pathfinder, Cadillac ATS, Nissan Versa Note, Lexus IS, Dodge Journey and Nissan Sentra. The Acura ILX ended up the absolute least satisfying car to own for CR’s subscribers. Sad. Just keep in mind that these are the collective opinions of exclusively the people who subscribe to Consumer Reports, and that the Tesla Model 3 and Model S, as well as the Toyota Prius, have pretty strong fanbases in general. But they are still consumers, and they claim to be satisfied, so it still counts.